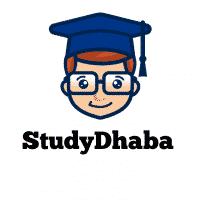 International Solar Alliance Short Note for UPSC Prelims 2017 – Hello Friends Welcome To StudyDhaba.Com . The International Solar Alliance is a cooperation to bring clean and affordable energy within the reach of all and create a sustainable world. It is a new beginning for quickening advancement and deployment of solar energy for accomplishing universal energy access and energy security of the present and future generations. It is a coalition of the countries lying completely or somewhat between the Tropic of Cancer and the Tropic of Capricorn to address their special energy needs. The initiative was launched at the UN Climate Change Conference in Paris at the end of 2015 by the Prime Minister of India and the President of France. The ISA is to be headquartered in Gurgaon, India. It is also called as the International Agency for Solar Policy and Application.